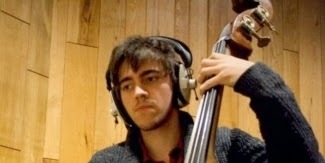 The Royal Academy of Music have announced that the recipient of this year's Richard Turner Jazz Fund is bassist Tom McCredie. The fund was set up in memory of trumpeter Richard Turner, who sadly passed away in 2011 and is centred around musicians with a connection to Leeds or Yorkshire. McCredie, originally from Wakefield, is the second recipient of the fund; the first being bassist Alex Davis. A panel which included head of RAM Jazz Nick Smart and Richard's family and colleagues convened in January and decided on McCredie as the most deserving recipient. Richard’s Mum, Christine, said “We are delighted to continue to award this fund following the high emotions of the wonderful memorial concert in July 2012. Growing up Richard went through the youth music scene in the Yorkshire area and he was always appreciative of the grounding he received. Richard was proud of his heritage and we felt it was appropriate to direct the support toward this region where possible. I will always be grateful for the opportunities the Academy gave Richard, and the hard work that has gone into establishing this fund. There were many deserving applicants but I particularly enjoyed reading Tom’s account of his early experiences of the jazz scene in West Yorkshire, as they were so reminiscent of those of Richard. We felt there was an added connection through Tom’s support of the Con Cellar Bar and his performance on Richard’s composition “Too Minor” on Reuben Fowler’s Big Band CD. I hope that this award will be of some help to him at this critical time in his studies and as he embarks on his career as a professional jazz musician."